The Conservation Effluent Pool was established by the City of Tucson and Pima County in an Intergovernmental Agreement (IGA) approved in February of 2000. The IGA enables up to 10,000 acre-feet of effluent derived from the metropolitan sewage treatment facilities to be directed into a Conservation Effluent Pool (CEP) for use in future riparian projects. Provisions for the use and allocation of this pool of water were further defined in an implementation IGA approved by the City and County in 2010. In 2013, a taskforce organized by the Community Water Coalition identified 13 projects that might qualify for a portion of the water available under the IGA. The City and County subsequently identified representatives to oversee the CEP. The qualified jurisdictions can now apply to receive an allocation of CEP water for their riparian projects: Pima County, City of Tucson, Oro Valley, Pima County Regional Flood Control District, and Metropolitan Water District. 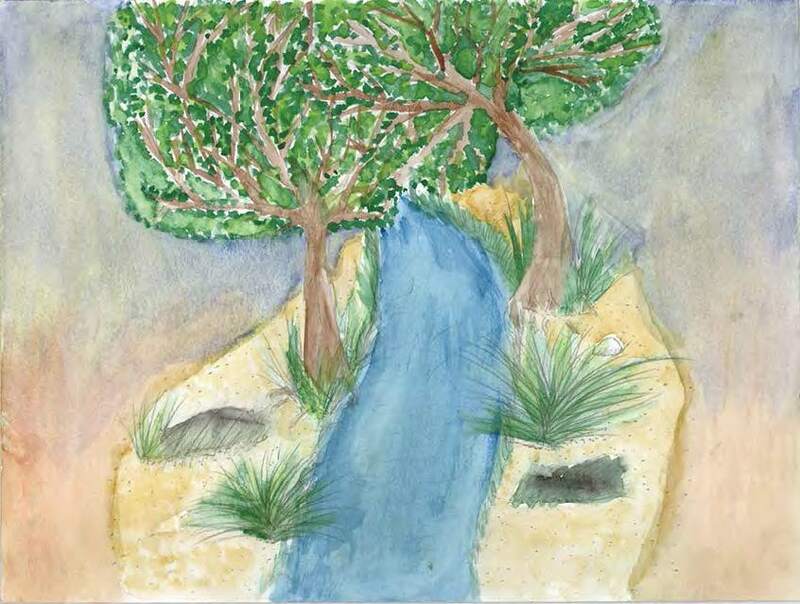 Drawing by Carmen Reyes from the 2015 Living River of Words Exhibit. Please contact a CEP Administrator for project application instructions.